Miller Music School is excited to announce Raina S. as the April Student of the Month! She comes to lessons prepared and is enthusiastic about learning. Keep up the practice and motivation to learn, Raina! 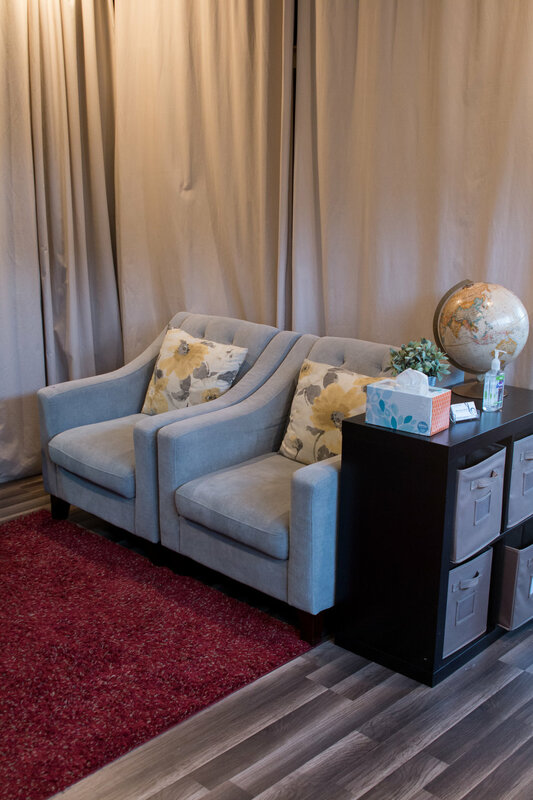 We love working with you! Practicing piano on the iPad. I learned Happy Birthday! Is there any fun fact that you would like to share about yourself? That I turn 7 on Monday. What are some other activities you participate in? Rebecca has been taking lessons for six years and also added violin about a year ago. She has been progressing at a quick and steady pace. 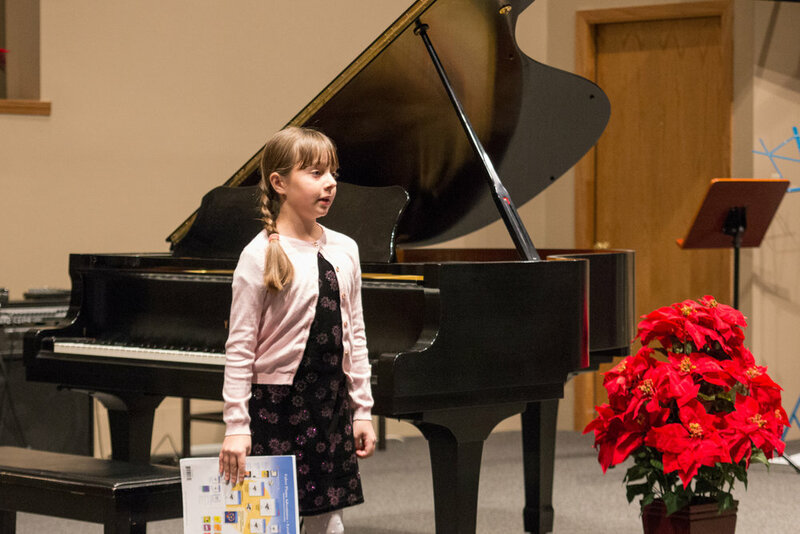 She recently passed the level 5 of the Royal Conservatory of Music Development Program and is slated to take her Theory exam this summer. She is also in her school band! Congrats Rebecca, you are a young lady of MANY talents- keep it up! 1.How Long have you been playing you instrument? About six years for the piano and about 1 year for the violin. Reading books and watching YouTube videos. I'm not sure, but I would like to help people from poor/disadvantaged countries. Probably work for a non-profit organization. 4. Any fun fact you would like to share? I'm reading a 700+ page biography about Alexander Hamilton. I want to go see the play soon! I play in my school band. I do art- I love to draw. Also gardening. I'm in 7th grade and I go to McKnight middle school. Way to go performers! 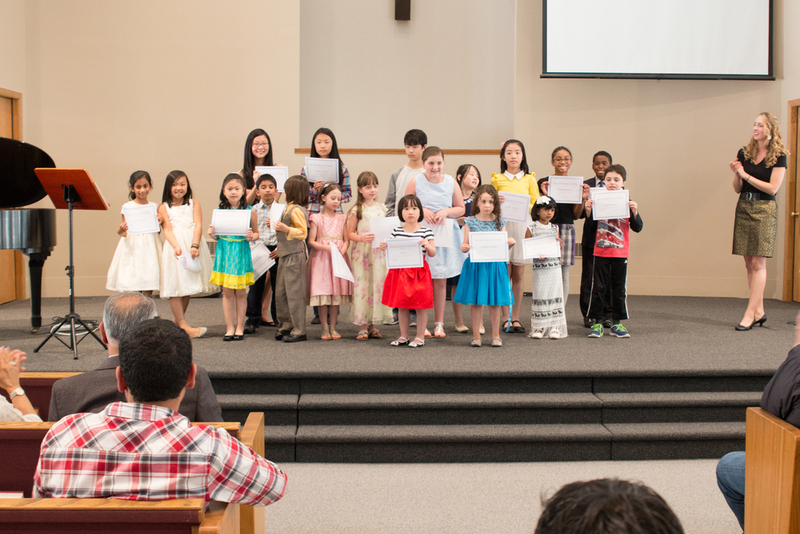 We had another stellar recital! 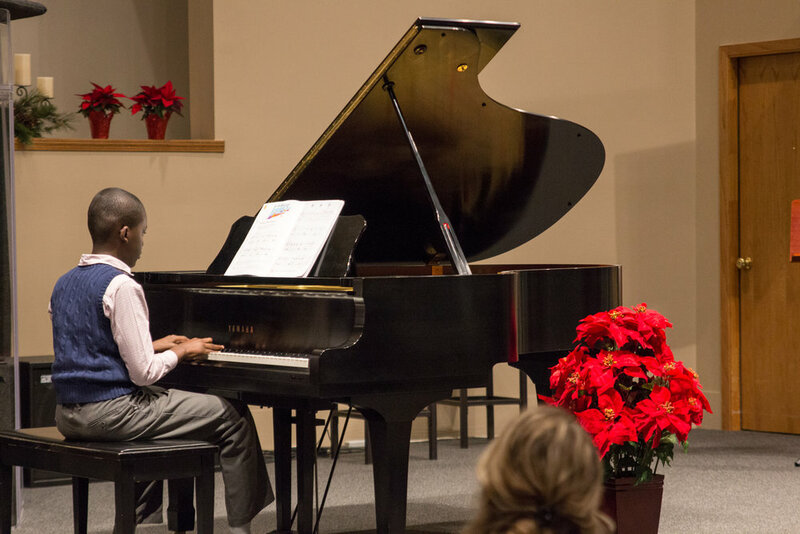 Below are some photos from our recital. Enjoy! Congrats to Mizan! He always has a "can-do" attitude and is very motivated to learn and pass off his songs. He loves to play bonus pieces along with his usual assignments. Keep up the great work Mizan! I have built 7 expert level lego sets. I do Tae Kwon Do and I am a Cub Scout. I am in 1st grade. Congrats to Jenny and Nancy (cousins!) who were chosen for April Student(s!) of the Month!! 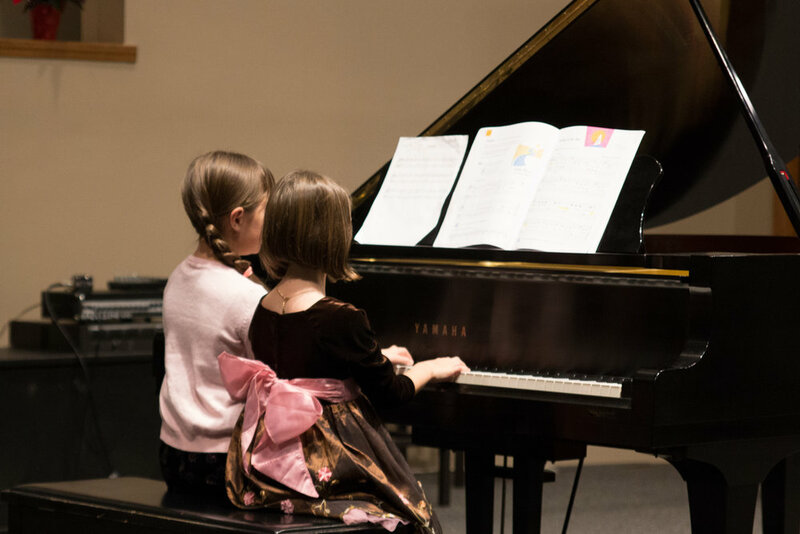 These young ladies have been playing the piano close to a year and have been going through their books quickly. They even bring extra pieces to their lessons that they've been practicing at home during the week. That's dedication! Way to go girls! J-I've been taking lessons for about 9 months. N- I've been taking lessons for about 7 months. J-Swimming and drawing. N- Swimming and dancing. J- I'm not sure yet. N-I'm not sure either. J-My favorite color is green. I also speak Chinese! N- I like to dance and I also speak Chinese. J- Practicing piano, and dancing. N- Practicing piano, dance and homework. All students, parents, family/friends are invited to support our musicians as they showcase their pieces at our semiannual recital! Please bring a plate of cookies (or any favorite treats) to share following the performances. 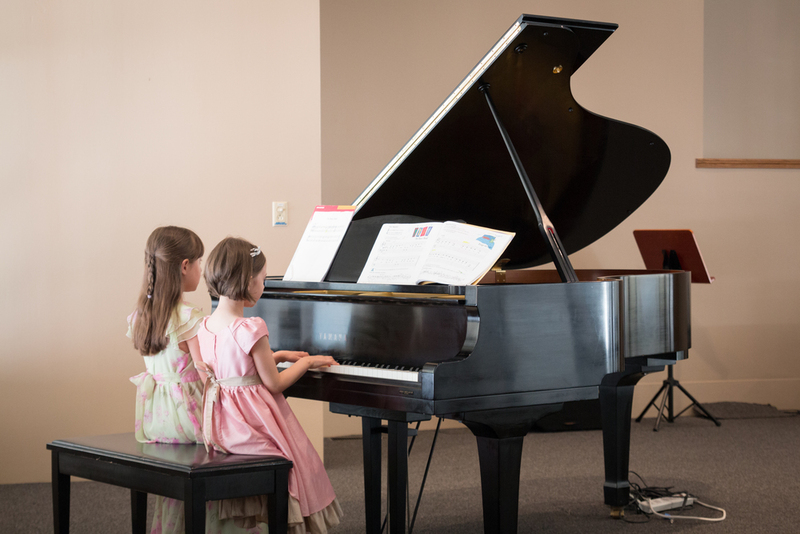 Our 8-week group piano course ended with a "mini-recital" for parents and students. It was a fun time to showcase pieces that were learned during the 2-month course. 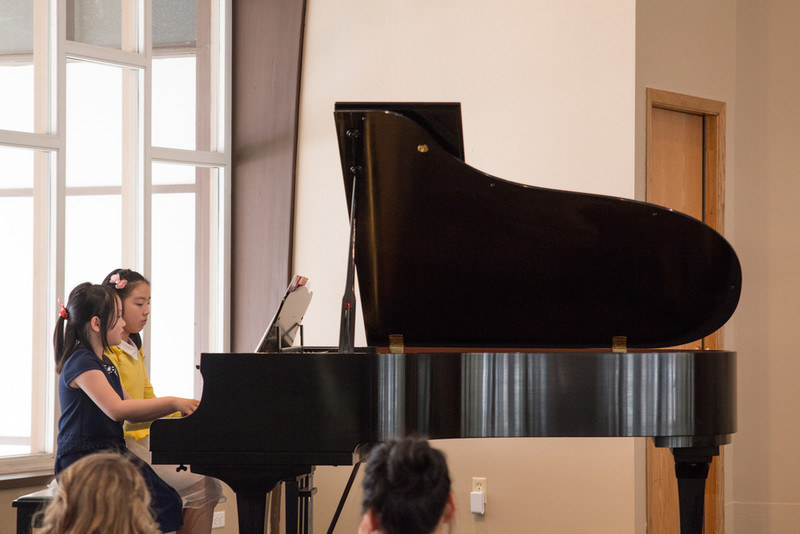 Thank you to all of our private piano/violin students who were able to attend and perform at our February Composition Masterclass! 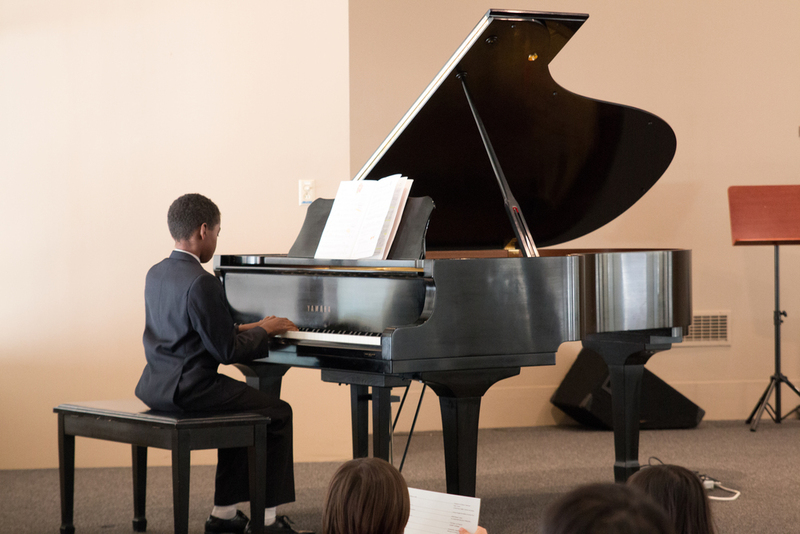 All students were able to perform pieces they have recently completed. We also learned a few of the compositional techniques that Beethoven employed in his 5th Symphony. 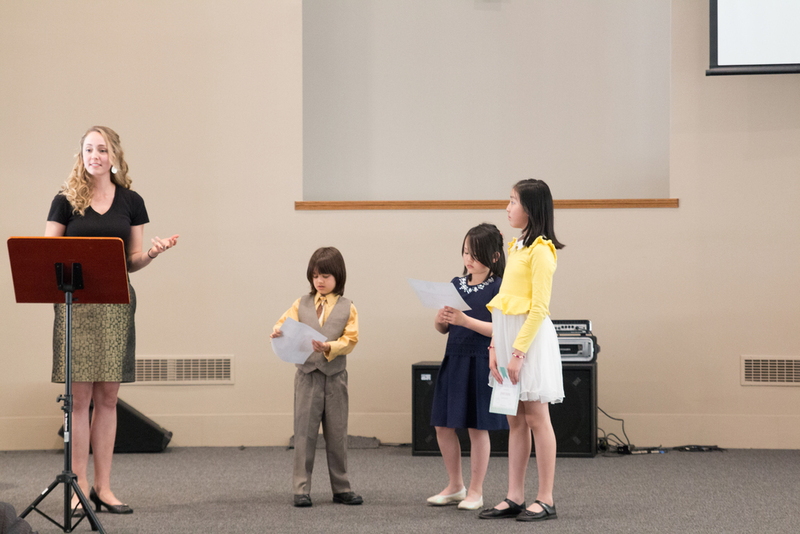 Then, as a group, everyone worked together to write out two unique melodies that were performed by a student. Great job everyone! March Student of the Month- Guhan K! Congrats Guhan K! He comes to lessons prepared well with a happy and willing attitude. He occasionally brings extra pieces or theory above and beyond his regular assignments. Last fall he took the Violin Practical Level 1 assessment and earned the highest ranking with a First Class Honors with Distinction! He is preparing to take his Level 2 in May. Way to go Guhan! I've been playing violin for five years. I like playing with legos, watching Sonic the Hedgehog videos, and reading books. I want to be an automotive designer. However, my interest might change as I grow up. I really enjoy reading the "Pendragon" series. At school, I participate in "Running Club'' and sometimes soccer. I'm in third grade, and I go to Blackwell Elementary.